from various backgrounds in art, design, music and everyday culture within the frame of Dresdens application for the European Cultural Capital 2025. The future is already here: We are living in the midst of changes taking place in European society and culture that are extremely tangible and affect urgent ecological issues, the transformation of the public sphere and communication in urban communities, and the cultural mobility inbetween people and institutions. Which new role do culture and the contemporary arts assume in this scenario, and how do these changes inevitably alter the established formats of cultural work? Neighbourhoods 2025 is a shared manufacture of visions and an invitation to the urban community and to experts of (everyday) culture from the most various disciplines to take Dresden’s application for the title of “European Capital of Culture 2025” as an occasion to embark on new exemplary formats of European cultural work. science from Dresden and beyond respond to noticeable changes in European culture and society: an allotment garden as a new location for garden-related art, a newspaper and prospects of a culture of mourning for the Heidefriedhof in Dresden, a skyscraper as a temporary body of sound, a mobile stage for theatre everywhere, a Laboratory of Passion at the Rudolf-Harbig football stadion and a Society for Beautiful and Useful Knowledge for the exchange between urban and rural spaces. A manifesto and a commitment for a respectful handling of ressources forms the preamble of the show. Neighbourhood stands for a universal life principle and shared space of European experience: A culture of successfully sharing diverse life plans and backgrounds, mutual support and the active pursuit of concrete measures to secure the future – on location and Europe-wide. In an exhibition that merges contemporary art, design, and visions of the future in a novel way, the Kunsthaus Dresden accompanied by constructLab will present the results of more than 120 participants thinking and designing together. The exhibition incorporates the first steps of a process of implementing the visions for 2025 and the following years. Supported by the European architects and designers collective constructLab, seven constellations of actors will start an experiment, a joint project. The drafts developed in planning processes will be presented for the first time in a show at the Kunsthaus Dresden in 2019. 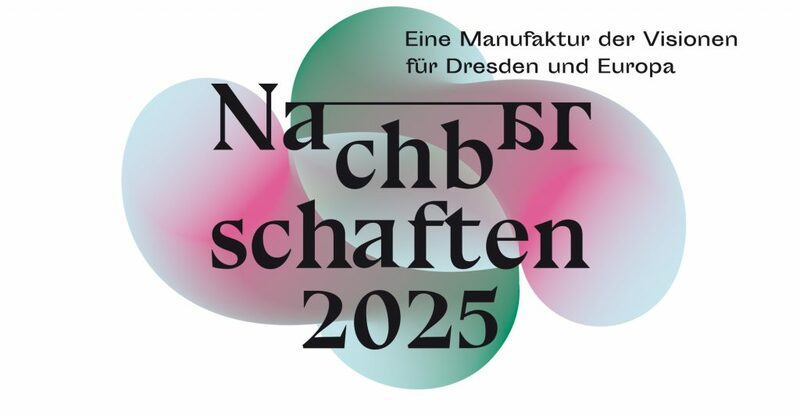 Neighbourhoods 2025 is a project in the frame of "Neue Heimat" of Dresden’s application for the title of “European Capital of Culture 2025”.